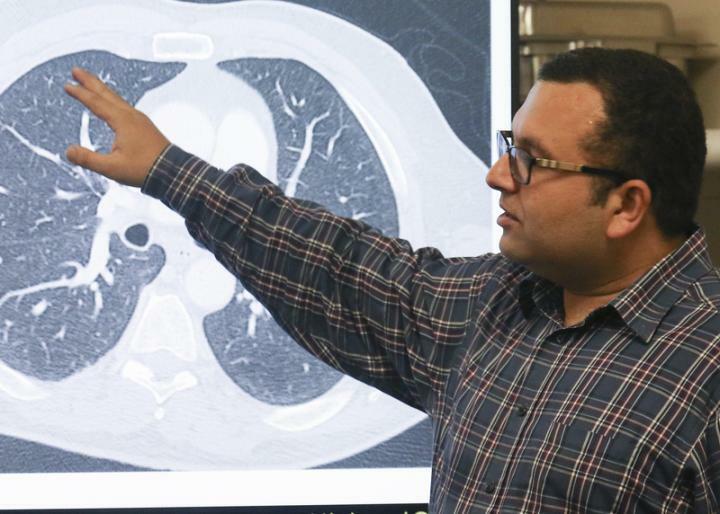 The group fed more than 1,000 CT scans – provided by the National Institutes of Health through a collaboration with the Mayo Clinic – into the software they developed to help the computer learn to look for the tumors. UCF: Founded in 1963 with a commitment to expanding opportunity and demanding excellence, the University of Central Florida develops the talent needed to advance the prosperity and welfare of our society. With more than 66,000 students, UCF is one of the nation's largest universities, offering more than 200 degree programs at its main campus in Orlando and more than a dozen other locations in Central Florida and online. UCF was ranked by U.S. News & World Report as among the nation's top 25 most innovative universities along with Harvard, Stanford and Duke, and has been described by The Washington Post as "part of a vanguard that is demolishing the popular belief that exclusivity is a virtue in higher education." For more information, visit ucf.edu.